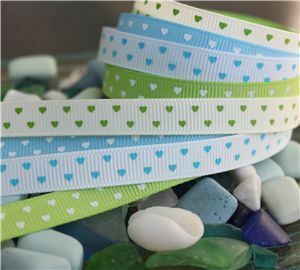 10mm narrow grosgrain ribbon, printed with mini hearts. This ribbon is so cute, and blends perfectly with the "Love" range of ribbons. Only a small range with 12 colours but the colours all work together, look at the picture!